Computers are beginning to recognize faces. Alessandro Acquisti is a professor at Carnegie Mellon University in Pittsburgh, Pennsylvania. He did a study to see how this will affect people’s privacy. Professor Acquisti says social networks like Facebook and LinkedIn have some of the world's largest databases of identities. He thinks facial recognition software will threaten people’s privacy. 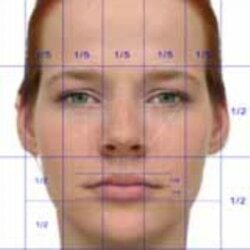 Recognition systems measure things like the size and position of a nose, the distance between the eyes, and the shape of cheekbones. The software compares lots of images to try to identify the person. Facial recognition programs are used in police and security operations. But the software is increasingly popular in other uses, including social media sites. For the study, the Carnegie Mellon researchers used software from Pittsburg Pattern Recognition, or PittPat. Google bought that company in July. The software can recognize faces in photos and videos. The researchers did three experiments. First, they collected profile photos from a dating website. Its members try to protect their privacy by not listing their real name. With the software, the researchers could identify one out of ten people on Facebook. In the second experiment, the researchers asked permission to take pictures of students on campus. They compared these photos to photos on Facebook. This time they correctly identified one-third of the students. In the third experiment, they tried to see how much they could learn about people just from a photo. They found not only names but birthdates, personal interests, and even locations, when people listed them. And Professor Acquisti says the technology is only improving. In June, Facebook launched a facial recognition system to help users "tag" or list the names of people in photos. In June, Germany became the first country to say this software was a violation of privacy.